Released earlier this month on the Jammin’colourS label, bassist Reggie Washington has delivered one of the finest jazz albums of 2015 with Rainbow Shadow, an album in tribute to the late guitarist Jef Lee Johnson. Johnson, an accomplished musician in his own right, collaborated with the best and biggest in soul and jazz playing with artists such as George Duke, Al Jarreau, Erykah Badu, D’Angelo, and even Aretha Franklin. Johnson also released twelve albums under his own name, and it is these songs that Reggie Washington has re-imagined on Rainbow Shadow. The album ends on a poignant note, the beautiful ‘For You Jef’, featuring a spoken word tribute to the man and the legend of the Rainbow Crow from TIBOO. It is a perfect ending to a brilliant tribute album to Jef Lee Johnson: Washington’s bass playing and production is superb, his use of samples of Johnson’s guitar is inspired, and the love and admiration that Washington had for Johnson is clearly evident. 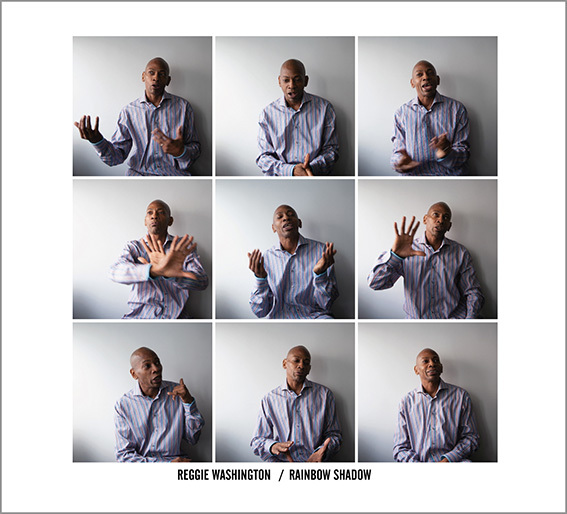 For more information on Reggie Washington, please visit his website here where you can find details about how to purchase a copy of Rainbow Shadow. Reggie will also be performing in London 13th September at the Bussey Building, more information can be found here.